Excuse me, Sir, but are you going to eat that mammoth? Pass the mastodon, would you? This week we're talking about the famous Explorers Club Dinner of 1951, where woolly mammoth (or was it ancient giant sloth?) was a featured appetizer. We'll find out how a Connecticut museum ended up with the leftovers of this crazy meal & how it took over 60 years to finally figure out what was really for dinner that night. Join us for a great discussion with Jessica Glass & Dr. Matt Davis, the two scientists who discovered the identity of the most famous mystery meat in history. 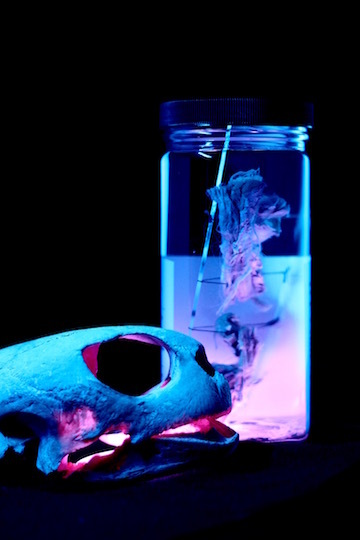 We'll talk about the curious tendency for scientists to nibble on their specimens, including Darwin's regrettable dinner of owl, and how food might have a major role in the future of conservation. The 1951 Annual Dinner of the Explorers Club went down in history as the meal featuring 250,000-year-old woolly mammoth (or mastodon) as an appetizer. But what exactly was on the plate that night? Cartoon accompanying a January 17, 1951 article in the Christian Science Monitor on the Explorers Club Annual Dinner. When Howes, who was unable to attend the dinner, asked Dodge for a sample of the prehistoric mammoth meat served that night as an appetizer, he received a jar labeled "megatherium" or ancient giant ground sloth in the mail. How had the mammoth transformed into sloth? The mystery meat Howes received from Dodge, labelled megatherium. The meat served at the 1951 Explorers Club Annual Dinner. Division of Vertebrate Zoology, YPM HERR 19475. Courtesy of the Peabody Museum of Natural History, Yale University, New Haven, CT, USA. Image courtesy of Matt Davis. What was in the jar? Paleontologist Dr. Matt Davis is a Carlsberg Foundation Fellow in the Department of Bioscience at Aarhus University in Denmark. When he isn’t digging up dinosaurs or tracking bears, he studies the ecology of extinct Ice Age animals in order to better conserve today’s endangered species. He also produces award winning, standards based educational programs to get high schoolers more interested in science and museums. Find out more about Matt's research here. Jessica Glass is a PhD candidate at Yale University, where she uses DNA to study the evolution of marine fish known as the jacks and trevallies. Much of her research focuses on the western Indian Ocean, where she collaborates closely with government agencies, nonprofit organizations, and sport fishermen in South Africa, Seychelles, Mauritius, and beyond. Having worked on commercial fishing boats in Alaska and being an avid recreational fisherwoman, Jessica strives to design her genetics studies to be useful for the conservation and management of marine fisheries. Learn more about her research at www.jessicaglassresearch.com. 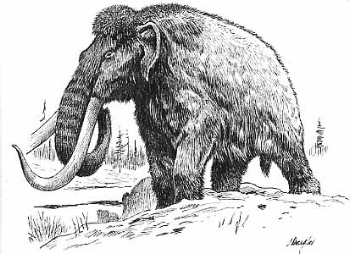 Although the "mammoth" meat originally was kept at the Bruce Museum in Greenwich, Connecticut, it has since been transferred to the Yale Peabody Museum in New Haven. If you're in the area, check out both these museums for great exhibits on natural history. Maciej Żołnowski, "Kwartet Japonski I" (Kwartet Japonski I by Maciej Żołnowski is licensed under a Attribution License). Maciej Żołnowski, "Kwartet Japonski II" (Kwartet Japonski II by Maciej Żołnowski is licensed under a Attribution License).